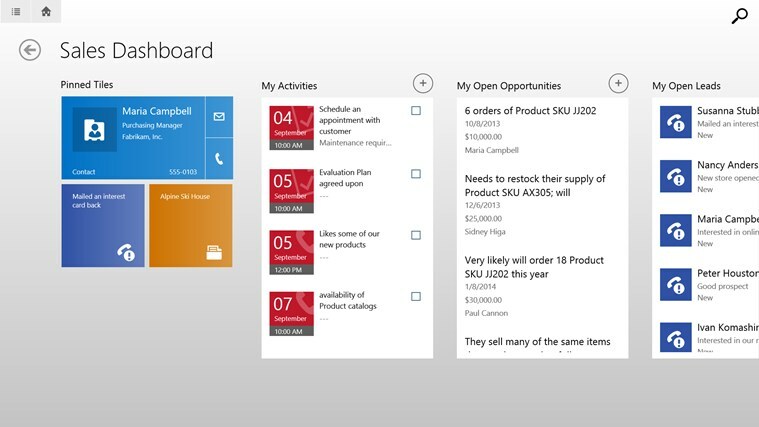 Currently in Dynamics CRM 2013 using the CRM for tablets app, the only dashboard that is available to view in the app is the Sales Dashboard, which was a special dashboard introduced with the release of the CRM for Tablets app. Now however with Dynamics CRM 2015 and enhancements to the Dynamics CRM for Tablets app, there is a way to display any dashboard in the app. 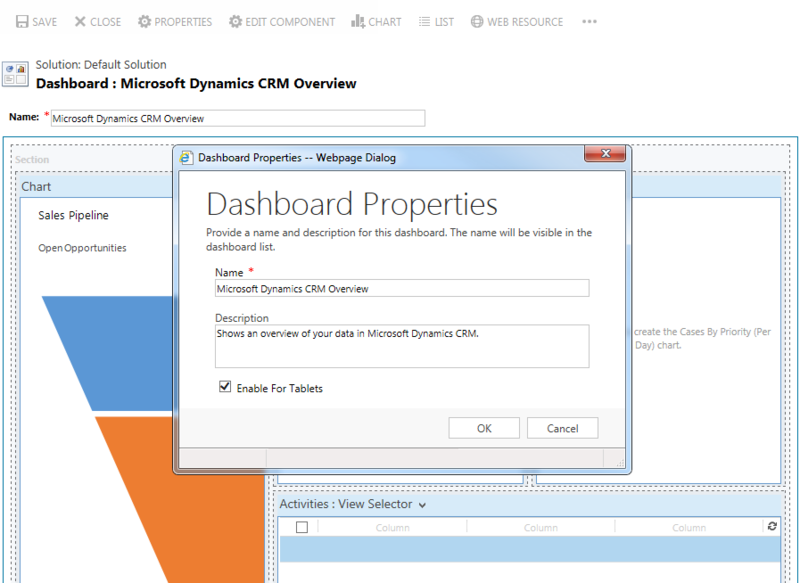 To change if a dashboard is available to view in the Dynamics CRM for Tablets app, edit a dashboard from the Customisation section and click the Properties option from the Command Bar. In the Properties window then either enable or disable the Enable for Tablets option. Both custom and out of the box dashboards have this option available. Note that restrictions of iframes and web resources not being shown in the Dynamics CRM for Tablets app still apply. In the Dynamics CRM for Tablets app there is now a Select Dashboard button while in the Dashboard area, this allows selection of any Dashboard that is enabled for tablets.